It's big. It's blue. It's a place we probably all feel a complicated mix of love and loathing towards. IKEA, the land of divine Swedish meatballs and affordable beds has become the destination for cash-strapped students and young couples setting up house everywhere. But, that doesn't mean the gain comes totally sans pain. If you've ever wandered through its aisles on a Saturday afternoon, you know what we're talking about. Between decision fatigue, crying kids, and cumbersome packages, it can be something to dread. But, it certainly doesn't have to be that way. A headache- and fight-free trip to the mega-shop is possible. In fact, we've done it several times over. The secret? Making a game plan, sticking to it, and knowing just a few insider tricks. Ahead, the tips for an experience as tranquil as those minimalist, Swedish shelves you're about to take home. Read on to achieve true shopping serenity, and hit the comments to let us in on your own strategies. Magical furniture-assembly elves not included (though the store can help with that). With a few exceptions, IKEA is quite inexpensive. That and the clean aesthetic are the reasons we love it. The danger strikes when you get to the marketplace (endless miles of bins) and start throwing things willy nilly into your cart. You didn't come for a cheese grater, but why not? And, these adorable blue vases? Of course you need them! Even if each impulse buy costs roughly $1.99, it all adds up. Making a list and sticking to it is imperative if you don't want to blow your budget. If you know you're prone to such acts of impulsivity (or even need a bit of bribery to get through the excursion) set a max of five surprise items. Yes, five candlesticks equals five items. Moving to a new city and decorating from scratch is overwhelming. In this case, make an inspiration and a buying trip. Expecting to get it all done in one day will only make you sad when it doesn't happen. And, those comfy display beds are not meant for full-blown weeping. IKEA's layout is supposed to be a journey (hence all the winding paths), but that doesn't mean you can't choose your own adventure. Take a shortcut to the marketplace if you know you just came for a bedskirt and cutting boards. Skip the showroom entirely, and hit it when you come back for the big buys. Many locations have model rooms tailored specifically to the lifestyles in the surrounding area. The Brooklyn outpost has small-space displays listed by square feet, so you can really see how to Tetris-fit your own pad. Take pictures of the sets for inspiration on how to arrange furniture when you get home. Some store locations have poor cell reception (it's a big place! 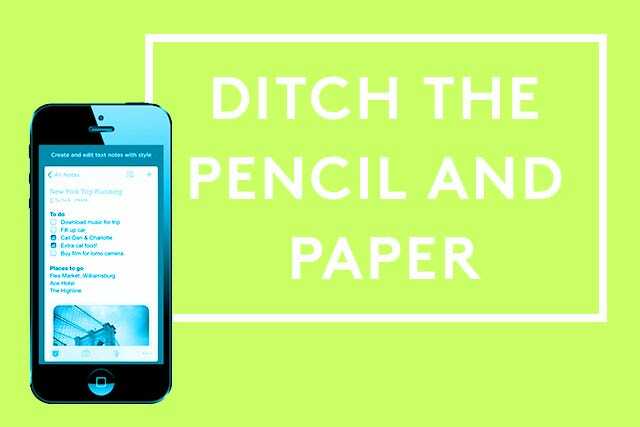 ), so download all your Pinterest inspiration before stepping inside. When you're in the moment, surrounded by 12 bookcase options, it'll be easier to recall what you really envisioned. Many people dread the IKEA experience simply because they go with the wrong companions. If you don't like clothes shopping with your boyfriend, forget about navigating a home superstore together. Sure, sometimes going without your S.O. is unavoidable, but if you know you're buying a specific dresser you chose together online, consider going solo. Avoid groups of three or larger at all costs. People with various agendas will only slow you way down. Shopping with a new roommate and still feeling out your relationship? Furnish only one room and pick the the top five to 10 essentials. That's it. We already know tackling a whole apartment in one trip is impossible, add the prickly interpersonal dynamics of a person you don't totally know but are about to live with and you're just asking for trouble. One room, a few key items — you guys can do it. And, there's lingonberry soda if you need to take a time out. If you have a return to make and stuff to buy, it's best if you and your partner split up. Delegating roles is the best method. With the reception issue, it's best to synchronize your watches old-school style and plan to meet in the lighting section, or wherever the next big decision needs to happen. Going an hour before the store closes will put you on a time crunch and help avoid dilly dallying and getting distracted by all the pretty things. You'll be able to whiz through the customer-free paths and be at checkout in half the time. Employees gave us the scoop that July and August (when the new catalog comes out) is the busiest time of year. Not to mention all the college freshman are getting their dorm gear. The least crowded times to go are early in the week (Monday through Wednesday). 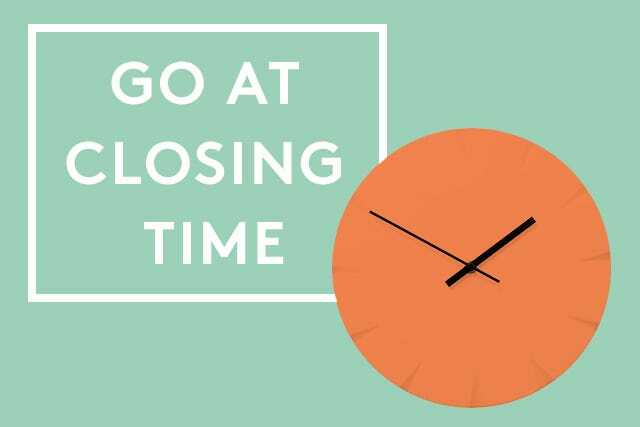 If you need to make big decisions, go on a weekday when you'll have lots of elbow room. Only Make Returns At 10 A.M.
Not all returns are equal. There are inevitably a lot of questions when someone takes back a big-ticket item. 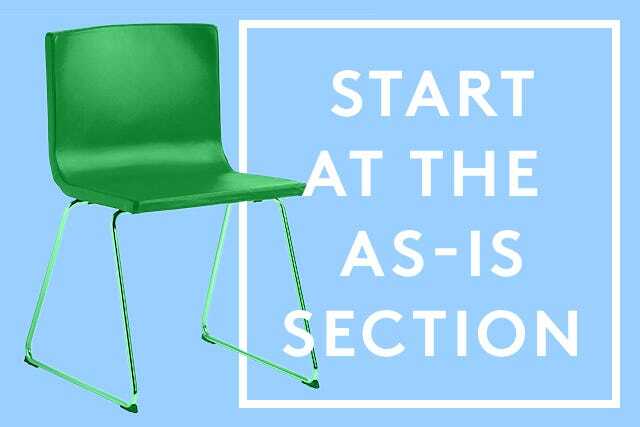 With assemble-yourself pieces, every now and then a screw is missing or an instruction is unclear — customers come to the counter with all of these issues. To best avoid a time-consuming ordeal, make sure you're first to grab a numbered ticket. In June, right before the new merchandise arrives, all the set displays head to the as-is section. At the Brooklyn location, only about 30% of the as-is items are things that've been used and returned. The other 70% is made up of those perfectly fine floor pieces that are insanely discounted. It's also a place to find that sold-out item no longer on shelves. One major upside to the clean, streamlined products is their versatility. A wicker basket in the kitchen section might be an ideal fit under your bathroom sink. There's a mini-marketplace in the kitchen section with plenty of multipurpose containers. What might look like an average-sized utensil drawer is most likely not. Remember, this is a European company. If you live in a tight space, it's crucial to measure your drawers and closets, or table height, or whatever it is you're aiming to match, beforehand. Frames are especially tricky, too. A standard 8-by-10 frame may not be available, so check the site ahead of time. If you forget the measuring tape, the stores have nifty paper ones laying around. The little dowel pencils they provide are cute, but using an app like Evernote to take pictures of tags and jot down prices is much more efficient. Tabulate prices as you go, so there's no big shock at the register. If you get to the warehouse for furniture and forgot to write down an aisle number, there's always a nearby kiosk to help find the item. Traveling alone? Create a feel-good song list to help you power through. We love skipping through the aisles to the tune of "Dancing Queen," and can't help but pat ourselves on the back for choosing a band with such thematic relevance. If you're looking for a certain something, it often pays to seek out a yellow-shirted employee. They can advise on what's in stock at other locations, or help come up with alternative ways to deal with a space dilemma. After all, they hear the same furnishing questions over and over again. This might be this writer's favorite tactic. 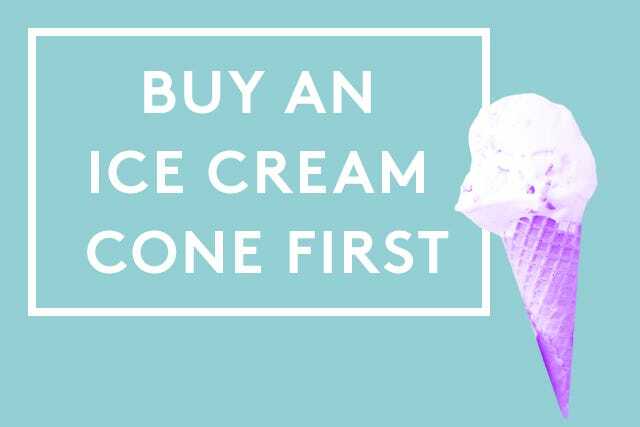 Grab a soft-serve cone for a dollar (or a large lingonberry fountain drink) and work your way backwards through the store. Seriously. What's a crowded miniature office or a line to look at a fake closet display when you've got sweets? Hitting up the dining area first is a good idea in general; starting out with a full stomach means you're less likely to dissolve into a pile of hangries somewhere in the middle of the store. 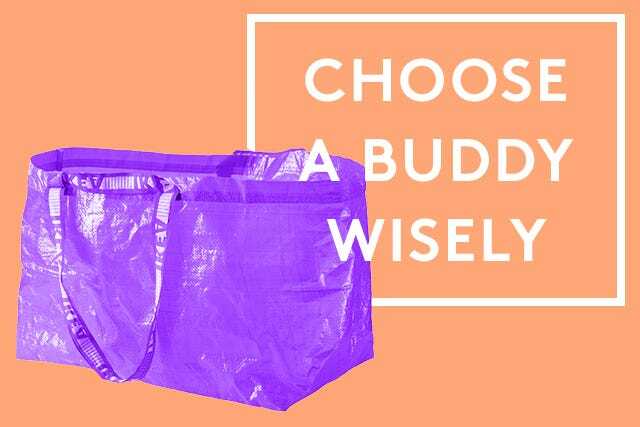 Besides, who feels like carrying all those heavy blue bags through the cafeteria line? The frozen section is usually after the checkout and the last thought on your mind when you're busy strategizing how to get an armoire home. But, the frozen Swedish delicacies are gold. (And, they solve the post-shopping dinner dilemma which you hadn't even started worrying about yet.) If you still have any of your five impulse buys left, the pretty succulents in the garden section are a total steal at $2.99. 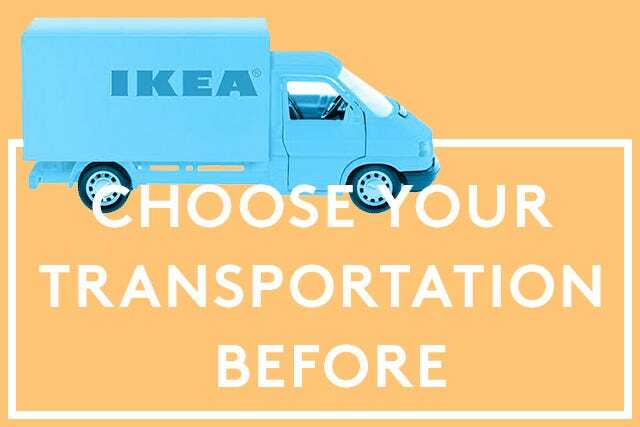 If you walk in already knowing your big purchases, you can also decide your transportation home. Arranging this in advance can really help prevent any big surprise buys. In the showroom, ask how your products might be packaged. It's sometimes surprising; a rolled mattress can actually fit in the back of some cars. 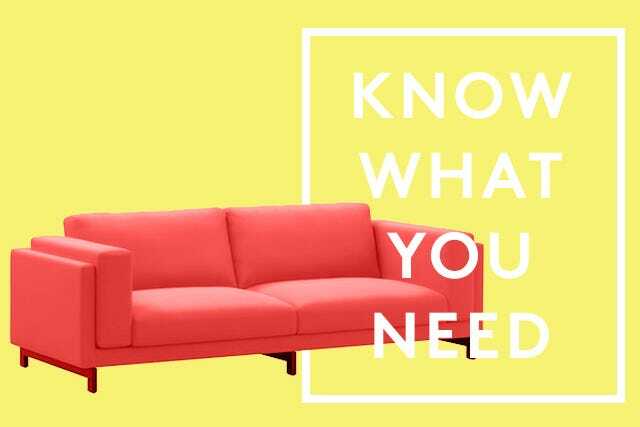 If you have small, packaged furniture, like chairs and tables, the cab can sometimes be easier and cheaper than the $59 to $140 delivery services, depending on where you live. (Plus, IKEA doesn't deliver you home, just your stuff.) Be sure to get an estimate first. You might want to save some money for the store's assembly service, that starts at $79, if you know you're hopeless at reading those word-less comic-book-like instructions or don't have a helper for the heavy lifting. Now, that doesn't sound so bad, does it?